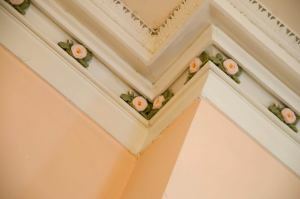 Crown molding, also known as cornice, is a means of adding character and elegance to your home. 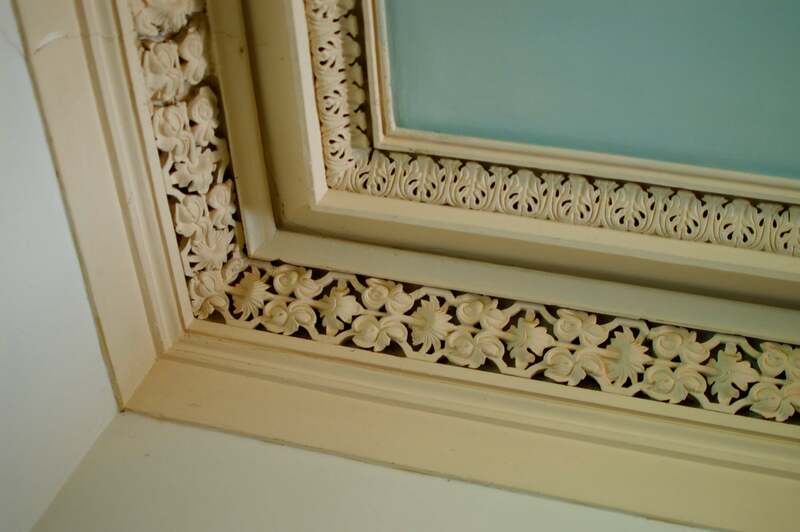 It’s an ornamental molding constructed around the upper corner of the wall, just below the ceiling, to improve the aesthetic value of the home. With crown molding, you will be able to fill the corner joint between the ceiling and the wall. Normally, it’s positioned at an angle of 45º and attached to the wall and ceiling. It’s available in a number of sizes within the range of 2 inches to 8 inches. 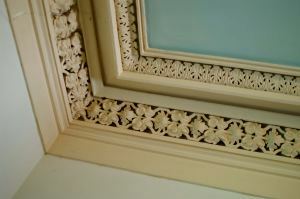 The major challenge facing many people is cutting crown molding to fit together along the wall. Being able to cut it with a miter saw allows you to cut crown molding easily and quickly, but it takes a bit of know-how to get this right. With the tools mentioned above, you will be to cut crown molding with a miter saw easily. When you have gotten all the required tools, the next thing that you should do is to take the necessary measurements. It’s important that you take completely accurate measurements. A mistake of one-sixteenth inch can spoil the beauty of the work by creating visible gaps between the ceiling and walls. You can measure it directly by placing the molding at the position where it’s supposed to be and then marking the measurement with a pencil before cutting. For inside corners where the available space is shorter than the molding space, you may consider taking measurement with a measuring tape as it will not be possible to place the molding directly. Take measurement of the space and then mark the same measurement on the space. Note that tapes made by two different companies may not have the same dimension. So, if you want to keep your measurements consistent you should try to use the same tape to make all of your measurements for this project. Now that you have measured the molding, the next thing to do is to cut it. Where the crown molding will be mounted and how the molding will be joined will determine how the cornice should ultimately be cut. Place the pieces upside-down on the saw in such a manner that the section of the molding which will have contact with the ceiling remains on the bed of the saw. You should place the section which will be on the wall against your miter saw fence. Crown molding may require you to create a type of joint known as scabbing on the wall. “Scabbing the pieces together” is a phrase used to refer to the joining of two sticks of molding together at the wall’s center. You can use angled cuts to create this joint without making them conspicuous. Here, you don’t have to cut the mold off at a right angle. 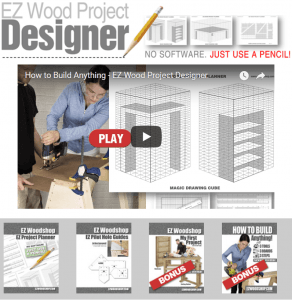 You need to set your miter saw to cut at 22.5º. 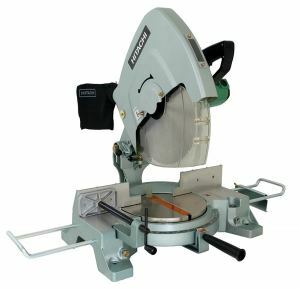 To ensure accurate and consistent angle cuts, most models of miter saws feature a positive stop at this point. 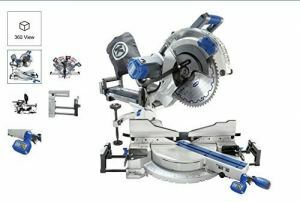 Place your cornice on the miter saw in an upside-down position. When making the cut, you should maintain a moderate speed with smooth motion. You don’t have to pull the blade quickly through the wood and should take it easy, as you want to end up with a cleaner cut. It’s also important that you don’t stop when making the cut, because if you pause the wood is much more likely to shift, resulting in the creation of a ridge in the cut. The exterior corner is formed by two pieces of molding that join together. Both pieces are to be cut at a half right angle. The miter saw normally features a positive stop for this angle. If you have any important cut to make at the other end of the molding in order to scab to the inside corner, it is important that you make it first so that the cut will be located accurately. It’s not difficult to measure the cuts for exterior corners. Position the molding stick properly and then use your carpenter’s pencil to mark on the bottom edge. You can use a straight edge rather than a tape if there are rounded corners and heavy texture on the wall in order to determine exactly where the corner is located. Place the molding upside down on the miter saw so that the pencil mark will be aligned with the edge of the saw blade. 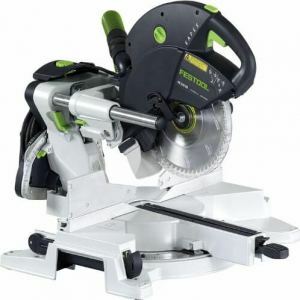 You should also ensure that two flat mounting surfaces on the molding’s back are in full contact with the fence and the bed of the saw before pulling down the blade for smoother cutting. 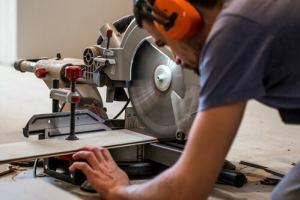 Set the miter saw to the opposite direction in order to cut the other piece of molding which should be placed on the other side of the saw blade. If the corner is less or more than 90º, you need to measure the corner’s angle in order to find out the cut angle. Set the saw for half of the angle of the corner rather than cutting the crown molding at half a right angle. 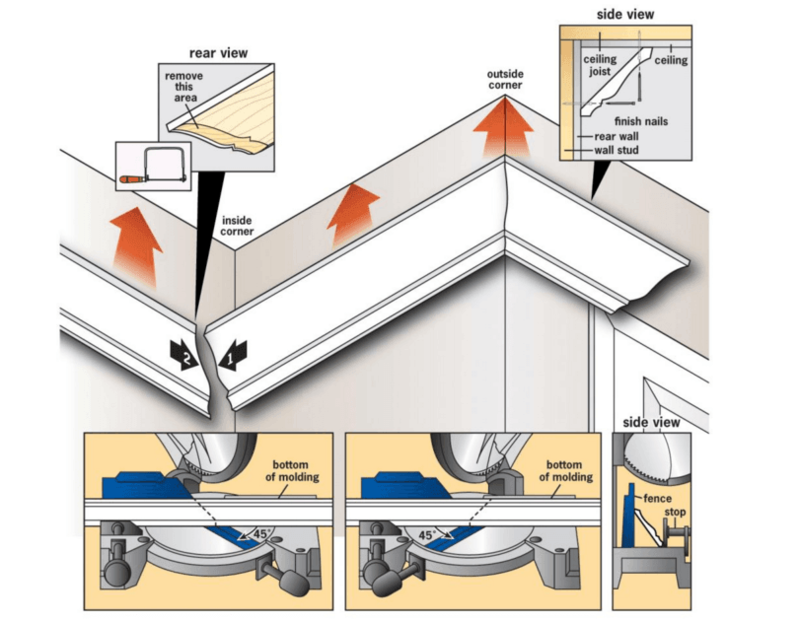 For example, if you are cutting a 60º exterior corner, you have to cut both pieces of crown molding at 30º degrees. When cutting crown molding, you need to be patient. The saying ‘measure two times and cut once’ applies here. You have to take accurate measurements and re-measure again before cutting. 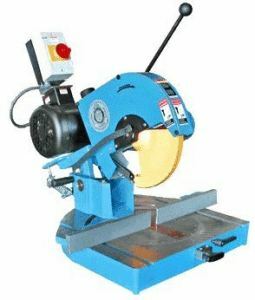 Ensure that the saw is set correctly and that you have positioned the material properly. There is no need to rush over anything because the slightest mistake can ruin all your effort. Cutting crown molding can be a bit tricky, especially if you have irregular corners in your home, but if you have the patience you will be able to do the job well.